This is a backlog post which I sold how allows it to slip down the whole list of articles to be published. 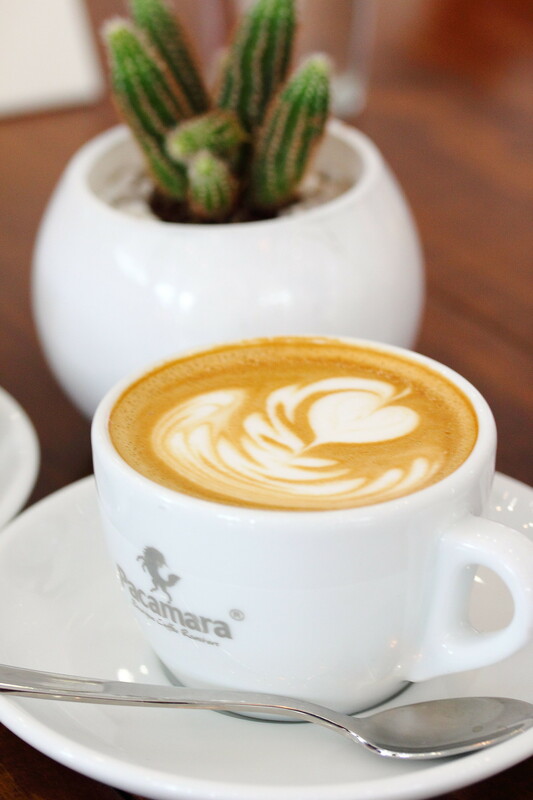 Probably because I decided there is no urgency to feature Pacamara Boutique Coffee Roasters at Upper Thomson Road since it has been reviewed numerous times and even to the extend that some claimed the cafe to be their best cafe of 2014. Stepping into Pacamara Boutique Coffee Roasters, I can understand why so many cafe hoppers love this place. The cafe has the Aussie feel. Beautifully decorated in white with wooden furniture, I felt as if I am in Melbourne, sipping my cup of Latte ($4.50/$5/$5.5) which comes in three different sizes of 3oz, 5oz and 7oz. 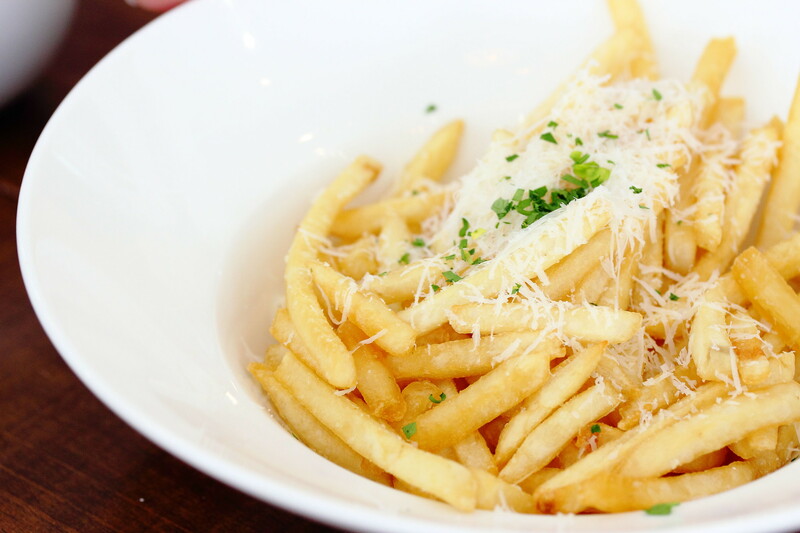 I am not a big fan of Truffle Fries ($8) as I don't think it is worth the extra cost to pay for a few drops of essence. Nevertheless I still gone with the group and ordered this. The fries were deep fried to nice crisp but yet not overly oily. 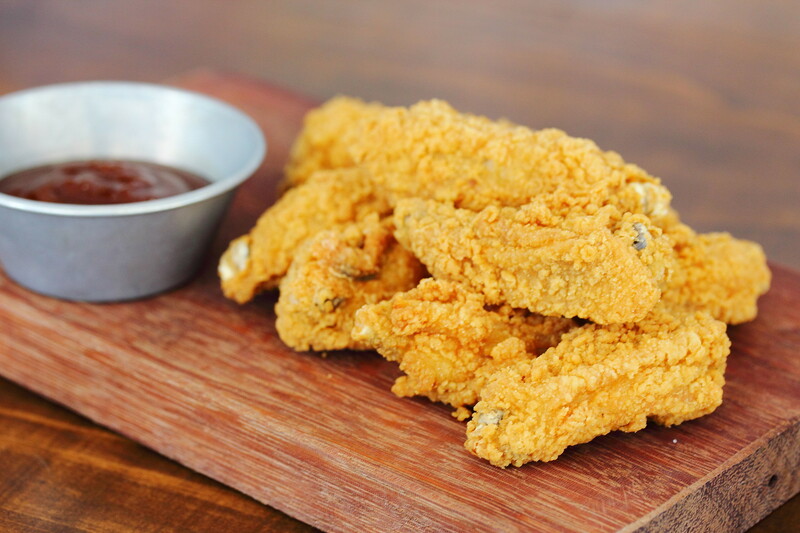 I remembered have a similar rendition of the Deep Fried Mid Wings ($8) at Sunday Market. However, the version with a more crispy exterior batter fares better while also retaining the juiciness. Once again this is not something I would usually order, I felt it is not value for money with the skinny wings for that price I need to pay. 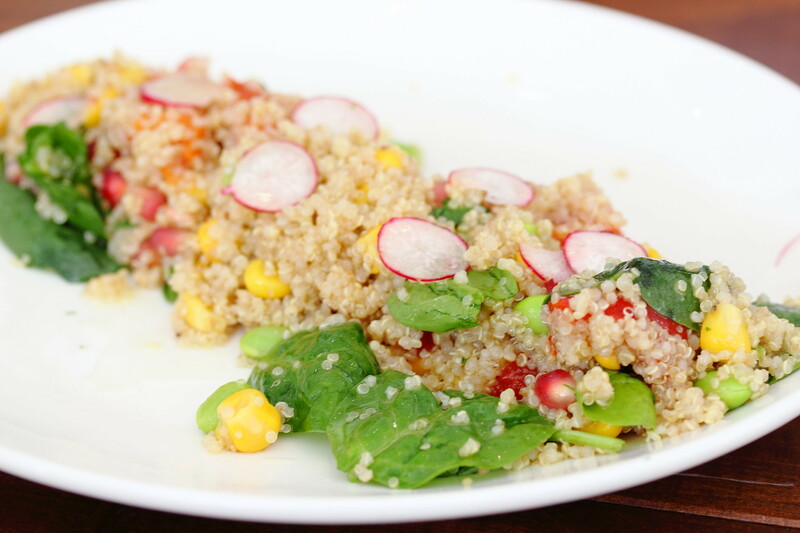 For a healthy brunch, one can go for the Quinoa Salad ($15) that comes with quinoa, edamame bean, pique pepper, baby spinach, sweet corn and pomegranate with lemon vinaigrette dressing. The colour combination is very pleasing in sight. If only the seasoning can be a bit bolder that will give the dish a much needed lift. Food that looks pretty does not mean it will taste good. 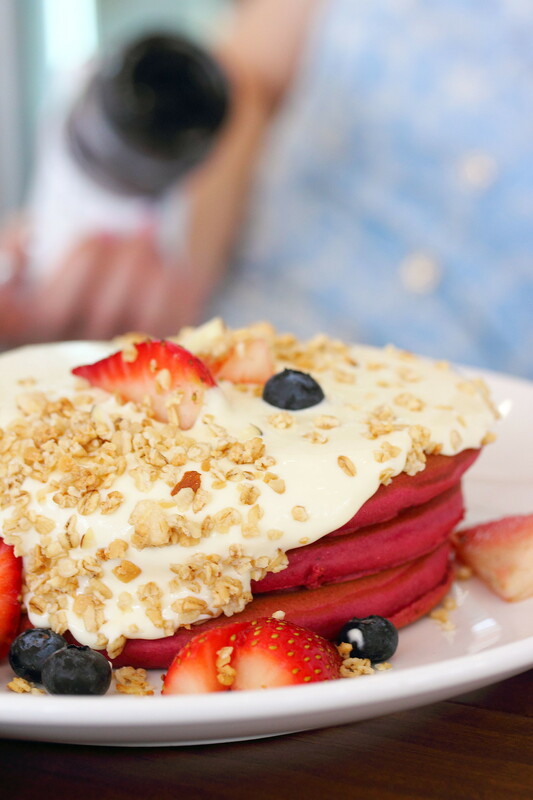 This is exactly how we felt with the Red Velvet Pancakes ($16) served with mascarpone and fresh berries. The pancake itself was rather bland and dry. In the fact the tastiest components on the plate are the berries. 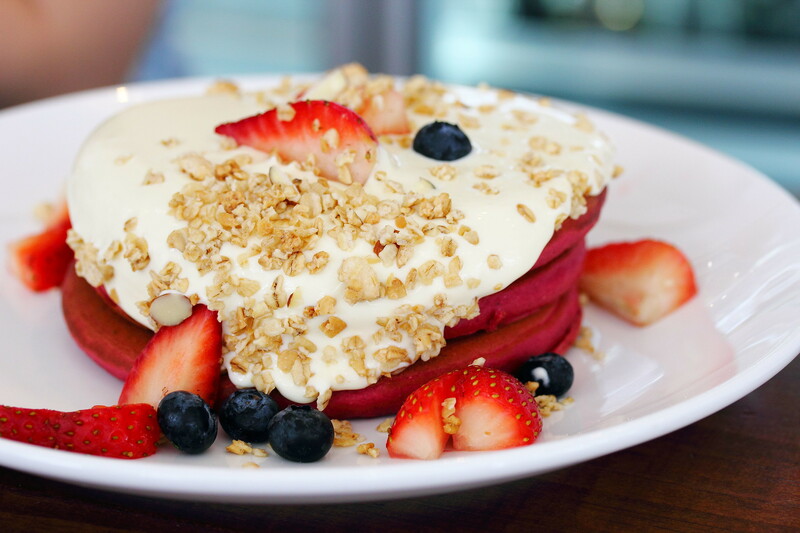 The Salted Caramel Banana French Toast ($16) was the opposite of the red velvet pancakes. It may look messy but it tasted so delicious. 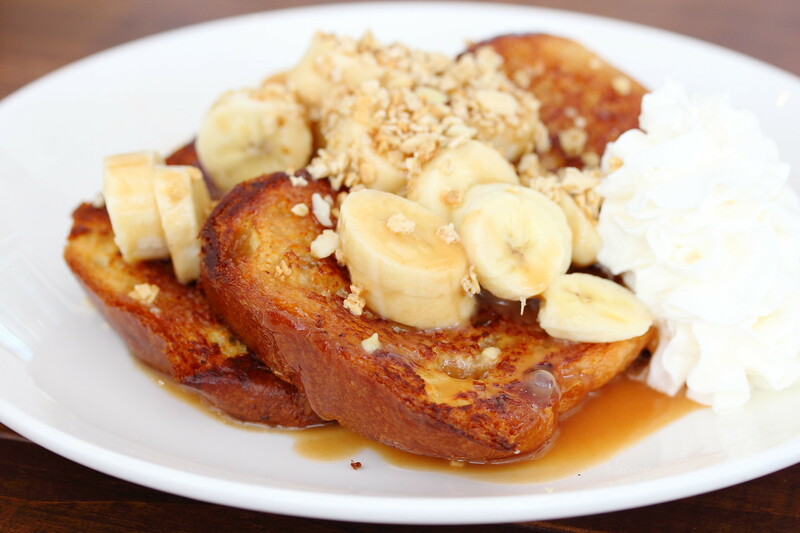 The soft brioche french toast was drizzled in a salted caramel sauce and topped with caramelized bananas and whipped cream. I really felt cafe food are over priced, just take for example the Truffle Benedict that costs $18. I am not saying the food is not good but I probably can't afford to eat it everyday. A breakfast dish is as expensive as a dinner main. Anyway back to the food itself. 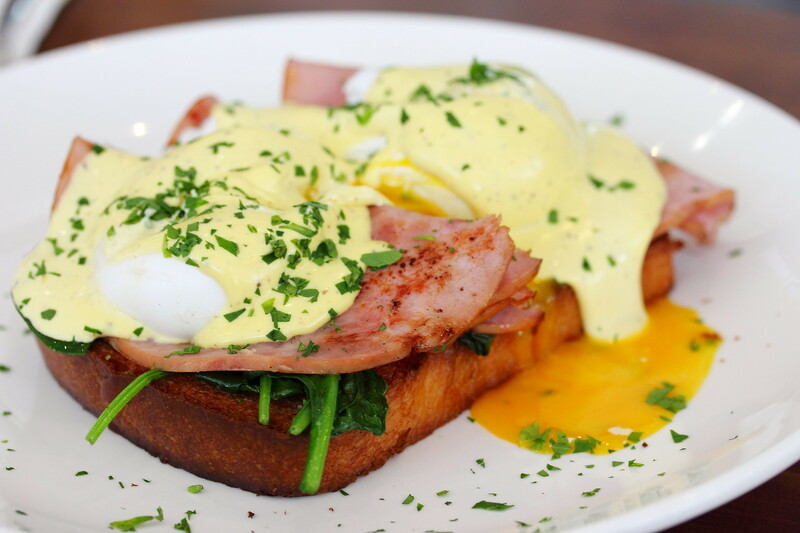 Two free range poached eggs with truffle hollandaise sauce sits on a bed of wilted spinach, smoked ham and brioche. A beautiful combination that brought sunshine to the plate. 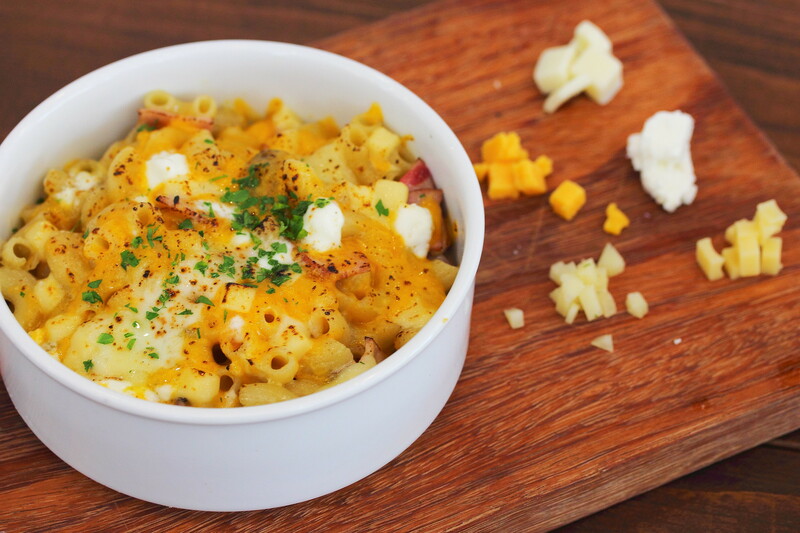 Last but not least another worthy dish to try is the Oven Baked 5 Cheese Macaroni ($18). The five cheese used are parmesan, feta, emmental, mild cheddar and mozzarella. The macaroni is also infused with honey ham and mushroom, finished with a dash of truffle oil. I love my cheeses and this has the cheesiness that I enjoyed while not too overpowering with a nice harmony. Being oven baked, the macaroni may turned dried but this is still well timed. By the way, I don't understand the need to display the types of cheeses used for the dish on the wooden plank. Overall Pacamara Boutique Coffee Roasters is a nice cafe to check out. It has ticks all around (Ambience, Coffee, Food and Service.). No wonder it is one of the more popular cafes for cafe hopping in Singapore.